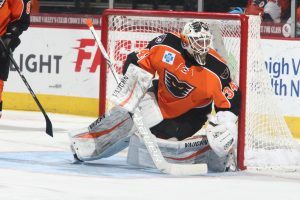 Lehigh Valley, Pa. – The Philadelphia Flyers, parent club of the Lehigh Valley Phantoms, have activated goaltender Michal Neuvirth from injured reserve and have returned on loan goaltender Alex Lyon. 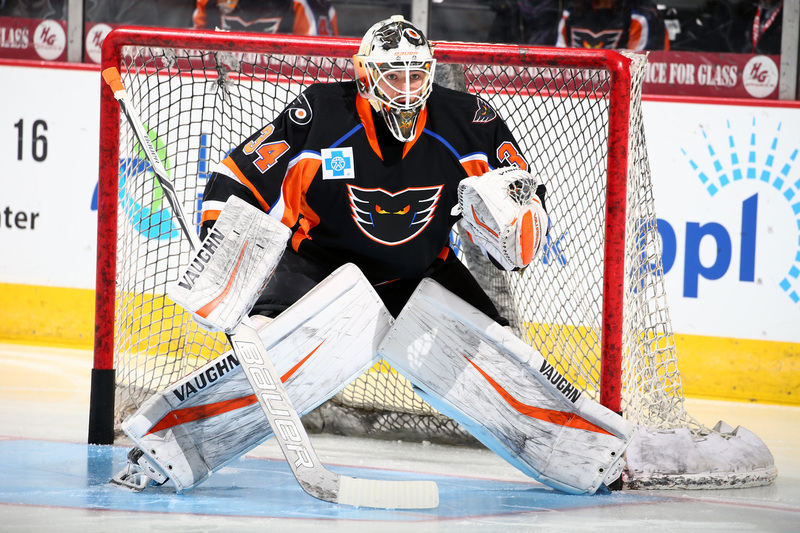 A 25-year-old netminder from Baudette, Minnesota, Lyon is in the midst of his second professional campaign and has spent time this season both with the Phantoms (15-8-2, 2.83 goals-against average, 0.911 save percentage) and Flyers (4-2-1, 2.75 goals-against average, 0.905 save percentage). He made his first NHL start on February 1 at the New Jersey Devils and earned his first career NHL victory on February 18 when he turned aside 25 of 26 shots in relief as part of a 7-4 triumph over the New York Rangers. In 73 career AHL appearances with the Phantoms, Lyon has compiled a 42-22-7 overall record to go along with four shutouts, a 2.77 goals-against average and 0.912 save percentage.